Jabbarzadeh, A., Darbaniyan, F., Jabalameli, M. (2016). A Multi-objective Model for Location of Transfer Stations: Case Study in Waste Management System of Tehran. Journal of Industrial and Systems Engineering, 9(1), 109-125. Armin Jabbarzadeh; Farzaneh Darbaniyan; Mohammad Saeed Jabalameli. "A Multi-objective Model for Location of Transfer Stations: Case Study in Waste Management System of Tehran". Journal of Industrial and Systems Engineering, 9, 1, 2016, 109-125. Jabbarzadeh, A., Darbaniyan, F., Jabalameli, M. (2016). 'A Multi-objective Model for Location of Transfer Stations: Case Study in Waste Management System of Tehran', Journal of Industrial and Systems Engineering, 9(1), pp. 109-125. Jabbarzadeh, A., Darbaniyan, F., Jabalameli, M. A Multi-objective Model for Location of Transfer Stations: Case Study in Waste Management System of Tehran. Journal of Industrial and Systems Engineering, 2016; 9(1): 109-125. This paper presents a multi-objective optimization model for the design of a waste management system consisting of customers, transfer stations, landfills and collection vehicles. The developed model aims to simultaneously minimize the total costs, greenhouse gas emissions and the rates of energy consumption. To tackle the multiple objectives in the problem, we utilize an interactive fuzzy programming solution approach. The model is capable of determining the location and allocation of transfer stations as well as the selection of the waste processing technologies. The application of the proposed model is examined in a case problem where real data is used for long-term planning of solid waste of Tehran. Abduli, M. & Azimi, E., 2010. Municipal waste reduction potential and related strategies in Tehran. International Journal of Environmental Research, 4(4), pp. 901-912. Anon., A., 2002. A manual for decision-Making. United States Environmental Protection Agency. s.l.:s.n. Antunes, A., 1999. Location analysis helps manage solid waste in central Portugal. Interfaces, 29(4), pp. 32-43. Barcena-Ruiz, J. C. & Javier Casado-Izaga, F., 2015. Regulation of waste management under spatial competition. Journal of Cleaner Production, pp. 216-222. Beskese, A., Demir, H. H., Ozcan, H. K. & Okten, H. E., 2014. Landfill site selection using fuzzy AHP and fuzzy TOPSIS: a case study for Istanbul. Environmental Earth Sciences, 73(7), pp. 3513-3521. Chambal, S., Shoviak, M. & Thal Jr., A., 2003. Decision analysis methodology to evaluate integrated solid waste management alternatives. Environmental Modeling & Assessment, 8(1), pp. 25-34. Chang, N.,& lin, 1997. Optimal siting of transfer station locations in a metropolitan solid waste management system. Journal of Environmental Science & Health Part A, 32(8), pp. 2379-2401. Chang, N. & Wie, Y., 2000. Siting recycling drop-off stations in urban area by genetic algorithm-based fuzzy multiobjective nonlinear integer programming modeling. Fuzzy Sets and Systems, 114(1), pp. 133-149. Eiselt, H., 2007. Locating landfills-Optimization vs. reality.. European Journal of Operational Research, 179(3), pp. 1040-1049. Eiselt, H. & Marianov, V., 2015. Location modeling for municipal solid waste facilities. Computers & Operations Research,62, pp. 1040-1049. Erkut, E., 2008. A multicriteria facility location model for municipal solid waste management in North Greece. European Journal of Operational Research, 187(3), pp. 1402-1421. Eydi, A. & Javazi, L., 2012. Model and Solution Approach for Multi objective-multi commodity Capacitated Arc Routing Problem with Fuzzy Demand. 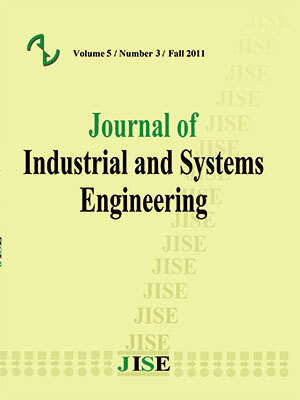 Journal of Industrial and Systems Engineering, 5(4), pp. 208-229. Ghiania, G., Laganàb, D., Mannia, E., Musmannob, R., Vigo, D.2014. Operations research in solid waste management: A survey of strategic and tactical issues. Computers & Operations Research, Volume 44, pp. 22-32. Hosseiniju,M& bashiri, M., 2012. Stochastic models for transfer point location problem. The International Journal of Advanced Manufacturing Technology, 58(1-4), pp. 211-225. Jadidi, O., zolfaghari, S. & Cavalieri, S., 2014. A new normalized goal programming model for multi-objective problems: A case of supplier selection and order allocation. International Journal of Production Economics, pp. 158-165. Kao, J. & Lin, H., 1996. Multifactorial spatial analysis of landfill siting. Journal of Environmental Engineering. Kinobe, J., Bosona, T. & Gebresenbet, G., 2015. Optimization of waste collection and disposal in Kampala city. Habitat International, Volume 49, pp. 126-137. Kirca, O. & Erkip, N., 1988. Selecting transfer station locations for large solid waste systems. European Journal of Operational Research, 35(3), pp. 339-349. Maghool, E. & Razmi, J., 2010. A Fuzzy Based Mathematical Model for Vendor Selection and Procurement Planning with Multiple Discounts in the Presence of Supply Uncertainty. Journal of Industrial and Systems Engineering, 4(2), pp. 125-151 . Mohammadi, M.,Torabi & Tavakoli-Moghaddam, 2014. Sustainable hub location under mixed uncertainty. Transportation Research, Volume 62, pp. 89-115. Önüt, A.,& Soner, M., 2008. Transshipment site selection using the AHP and TOPSIS approaches under fuzzy environment.. Waste Management, 28(9), pp. 1552-1559. Samanlioglu, F., 2013. A multi-objective mathematical model for the industrial hazardous waste location-routing problem. European Journal of Operational Research, 226(2), p. 332–340. Seifbarghy, M., Gilkalayeh, A. P. & Alidoost, M., 2011. A Comprehensive Fuzzy Multiobjective Supplier Selection Model under Price Brakes and Using Interval Comparison Matrices. Journal of Industrial and Systems Engineering, 4(4), pp. 224-244. Selim , H. & Ozkarahan, I., 2008. A supply chain distribution network design model: An interactive fuzzy goal programming-based solution approach. Int J Adv Manuf Technol, 36(3-4), pp. 401-418. Siddiqui, M., Everett, J. & Vieux, B., 1996. Landfill siting using geographic information systems: a demonstration. Journal of Environmental engineering, 122(6), pp. 515-523. Sujing, M., 2010. An integrated optimization approach and multi-criteria decision analysis for supporting the waste-management system of the City of Beijing, China.. Engineering Applications of Artificial Intelligence, 23(4), pp. 620-631. Torabi, S., & Hassini, E., 2008. An interactive possibilistic programming approach for multiple objective supply chain master planning. Fuzzy Sets and Systems, 159(2), pp. 193-214. Xi , B.,Sua, J., Huangb, G., Qinc, X., Jianga, Y., Huoa, S., Jia, D., Yao, B.,2010. An integrated optimization approach and multi-criteria decision analysis for supporting the waste-management system of the City of Beijing, China. Engineering Applications of Artificial Intelligence, 23(4), pp. 620-631. Zhang, Q., Wei, L. & Hu, . R., 2014. A General Transfer Station Location Model in Relay Delivery Considering Carbon Footprint, IT Convergence and Security (ICITCS), pp. 1-4.